This sphere is one of my geometric coloring designs based on triangles and squares. Color the inside differently from the outside to show the three dimensions. This PDF prints to 8.5x11 inch paper. 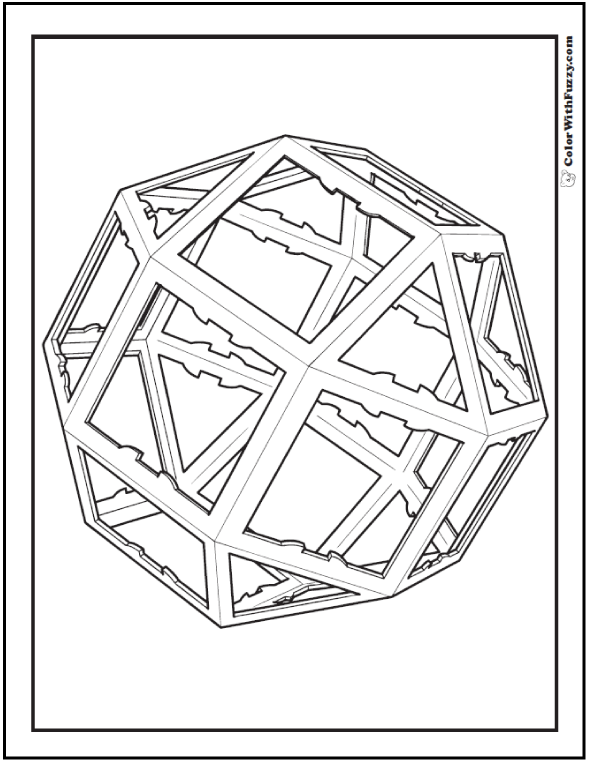 I like to see geometric designs in coloring pages. Can you see the triangles and squares?